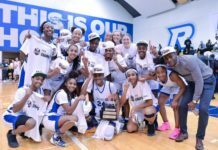 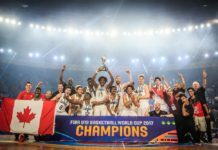 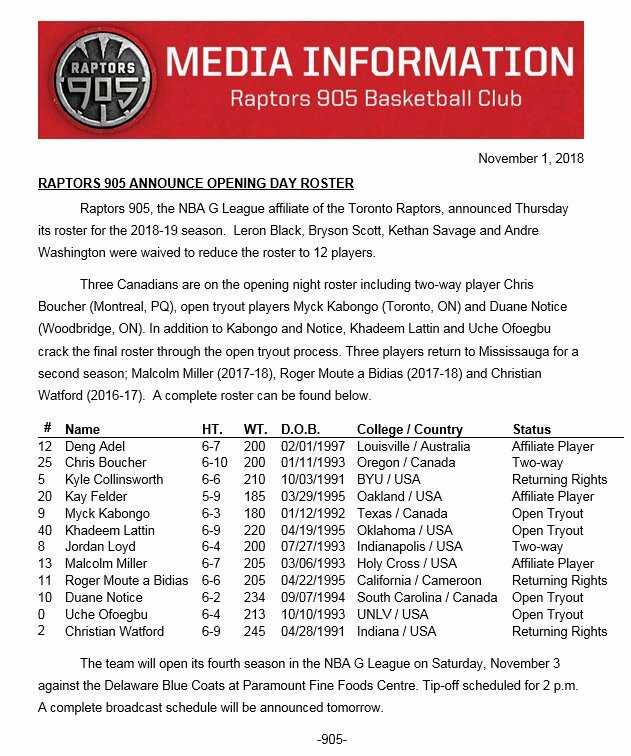 (Mississauga, On) Raptors 905, the NBA G League affiliate of the Toronto Raptors, announced Thursday its roster for the 2018-19 season. 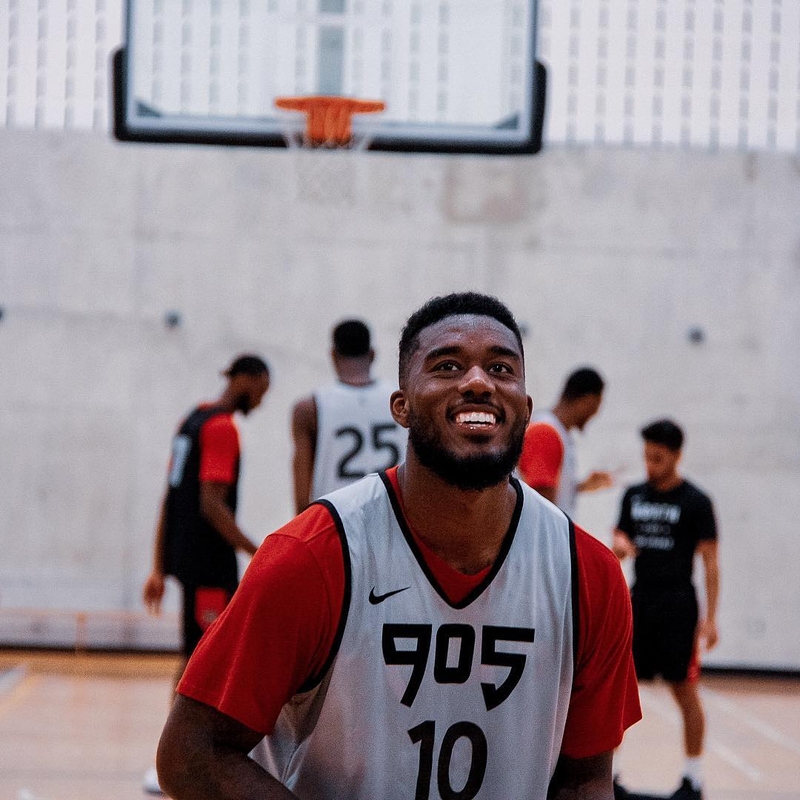 Leron Black, Bryson Scott, Kethan Savage and Andre Washington were waived to reduce the roster to 12 players. 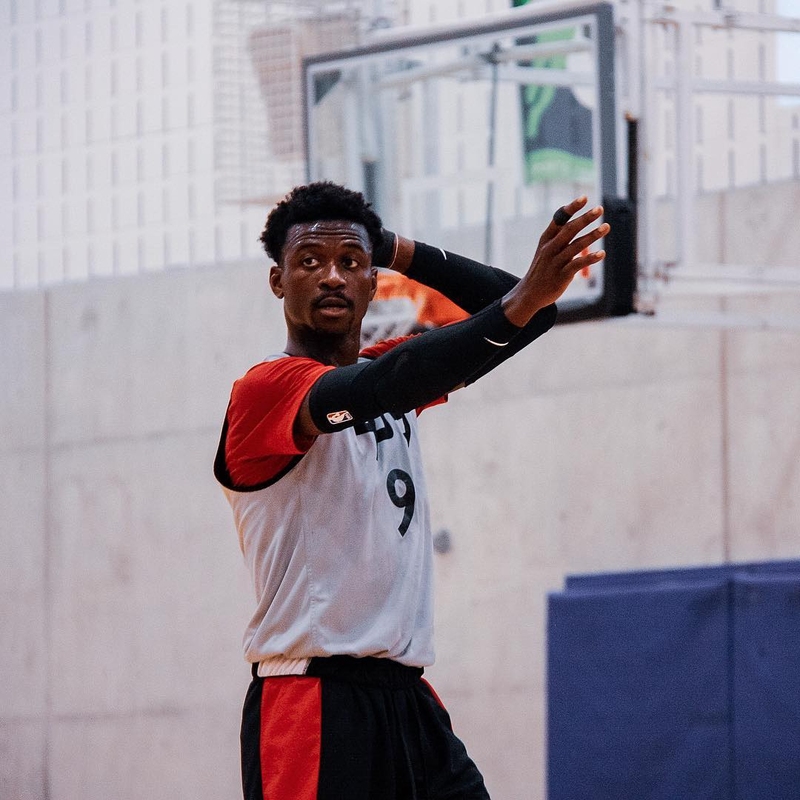 Three Canadians are on the opening night roster including two-way player Chris Boucher (Montreal, PQ), open tryout players Myck Kabongo (Toronto, ON) and Duane Notice (Woodbridge, ON).